SKB Helps EPIC in dangerous shutter situation! Posted on January 21st, 2015. EPIC (Extraordinary People Impacting Community) is a social enterprise that aims to inspire, mobilize and empower people to make positive impact in their communities. EPIC designs and creates collaborative platforms that allow the public to do this in a fun and easy way. Our flagship project, EPIC HOMES, is an initiative that aims to build relationships through the act of building homes for underprivileged Malaysian communities. An EPIC Home can be built within 3 days with a team of ordinary people. To date, we have built 34 homes with companies and the public alike, creating a community of over a thousand builders. While each build is different there are some common themes experienced by the groups and individuals who have built with us: an overwhelming sense of achievement from bringing hands and hearts together and turning a piece of land, a big pile of timber and steel, screws and nuts not only into a house but into a new home for a family in need. The other observation we’ve made is the strengthening of bonds among the builders, the transformation of lives that are touched by these acts of kindness. And the entire build is completed within just three days. 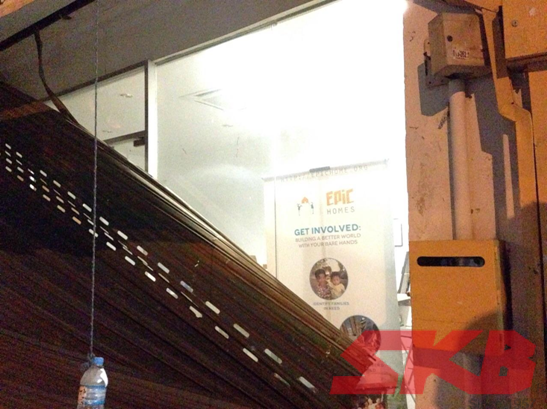 However, the EPIC headquarters is in Bandar Sunway, in a semi-industrial unit that has experienced some wear and tear. While the EPIC team has been building homes in villages, we’ve also been fixing up our office. 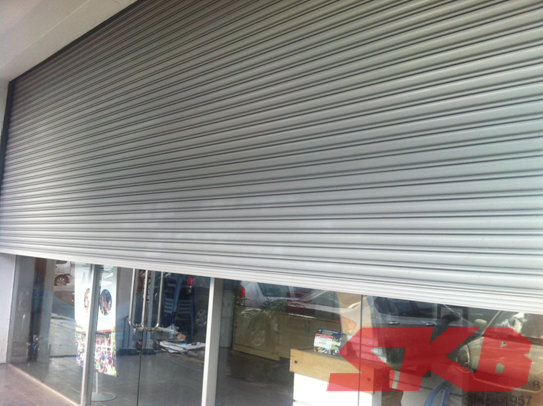 One night, after a Workshop at our office, the front shutter broke and collapsed. It was a dangerous situation for all of us as the shutter was hanging by it’s hinges. Each contractor we called to assess the damage could not give us an answer as to how long or how much it would cost to replace the shutter, so we called out to our friends on Facebook. We believe in the good in humanity, and we believed that there would be someone out there who would care enough to help us out in our own moment of need. And we were answered by you. Thank you so much for supporting EPIC by sponsoring our current shutters. We really appreciate the immediate help that was provided and will forever remember the act of kindness that you shared with us.